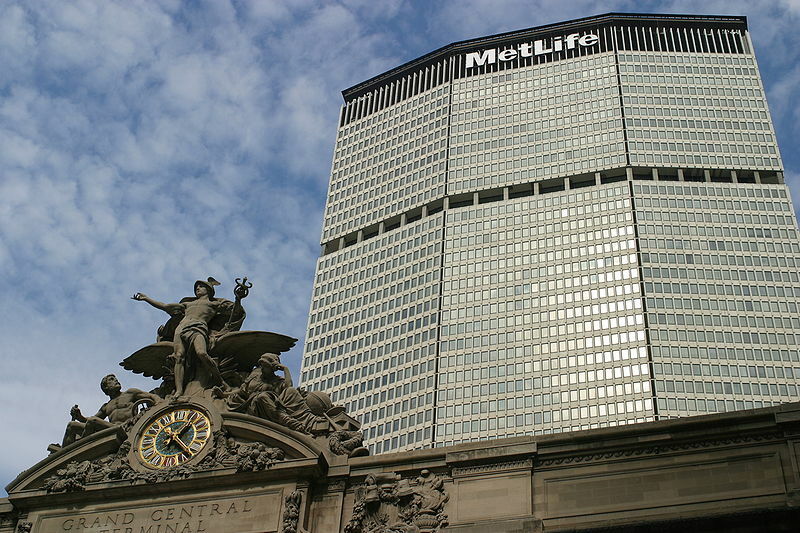 Metals in Construction magazine has launched a competition for architects, engineers, students, designers, and others from all over the world to submit their vision for recladding 200 Park Avenue, built a half-century ago as the world’s largest corporate structure, the Pan Am Building (now the MetLife Building). The mandate is to reimagine this New York City icon with a resource-conserving, eco-friendly enclosure—one that creates a highly efficient envelope with the lightness and transparency sought by today’s office workforce while preserving and enhancing the aesthetic of its heritage. Entrants may now register on the competition website, www.metalsinconstruction.org, and the deadline for final submission is February 1, 2016. The magazine will award a $15,000 cash prize to the design judged to exhibit the most innovation, energy efficiency, and aesthetic integrity. The panel of six jurors come from architecture and engineering fields and include some of the best known experts in sustainable design: Ben Tranel, AIA, LEED of Gensler; Areta Pawlynsky, AIA, of Heintges; Billie Faircloth, AIA, LEED AP BD+C, of Kieran Timberlake; Fiona Cousins, PE, LEED AP BD+C, of Arup; Sameer Kumar, AIA, LEED AP, of SHoP; and Hauke Jungjohann of Thornton Tomasetti. The prize will be awarded at a half-day conference at the TimesCenter in New York City on February 26, 2016. The winner and any runners-up will be published in Metals in Construction magazine and its digital platforms. The competition is sponsored by the Ornamental Metal Institute of New York. Recent advances in material technology and parametric design have given architects freedom to create exteriors of almost limitless variation. As a result, the enclosure has become a transformational building element, where recladding a building can give it a new visual identity and radically improve its energy performance in the process. Yet when a project involves recladding one of a city’s most recognized landmarks, preservation often comes at the expense of innovation. Preserving the original identity—not altering it—is foremost in the minds of designers. The competition was inspired by President’s Climate Action Plan and the Architecture 2030 Challenge. Meeting the aggressive goals for energy reduction established by these programs will require energy retrofits of existing building stock on a widespread scale. With this in mind, designers commissioned to replace antiquated facades on notable office towers will need to strike a balance between preserving what is truly architecturally significant and integrating components that can offer higher energy performance.